The greatest shave in my life. I am not going to lie to you and tell you that this was it, the greatest shave in my life. what i will tell you is that it was definitely not the worst. Today I purchased a circa 1930’s Rolls Razor. Essentially it is a metal case that depending on which side is opened first, exposes a single blade to either a sharpening stone, or a honing strap. there is then a mechanism that through a simple motion sharpens, then hones the blade. Then the blade is attached to a handle and you shave with it. I can still remember the best shave I ever had. It was in the bathroom of my childhood home, I must have been 5 or 6, and I was using a disposable razor with the blades removed. I would have to call this my best shave because while it is the first shave i can recollect, it is also the first shave I can recall not butchering my face in the process. This brings us to today’s shave. After sharpening then honing the expertly crafted reusable single edge blade I removed it from the contraption and attached it to the handle. I rinsed and lathered, then began to shave. Again, this was definitely not the best shave, not close, but boy was it an experience. The blade probably could have used a bit more sharpening, and it did tug as I pulled it across my face, and I nearly gave up ever time I brought that blade to the top of my cheeks near my eyes. After one with and one against, because I like to be so close you could never know there was hair there to begin, I had a face as smooth as the day I got it. Most importantly, I do not have a single nick, scratch, or dent, which is more than i can say about many other shaving options. Overall, I would recommend this razor to a friend. It certainly did not kill me, it cost less than any competitors disposable anythings, and I got the opportunity to get to know my face in a way that I had previously thought impossible. I believe that in life anything worth doing is worth doing right. While I cant say weather or not this was right, I am quite sure it was not wrong. I challenge you all out there to find yourselves something that is slightly odd, and slightly sharp, and to rub it around on you face just to see what will happen. You only live once and is this honestly the riskiest thing you can do? I think not. Give it a try. The Acquisitions incorporated LLC Corporate broadcast hour (or two). 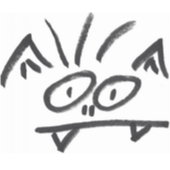 THIS is a link to the second ever, but first to be properly recorded, Acquisitions incorporated LLC Corporate broadcast hour (or two). We would like to apologize in advance for all the fuzz created by peoples proximity to the microphones. These things happen. Here you can see the wild Peep in it’s natural habitat. 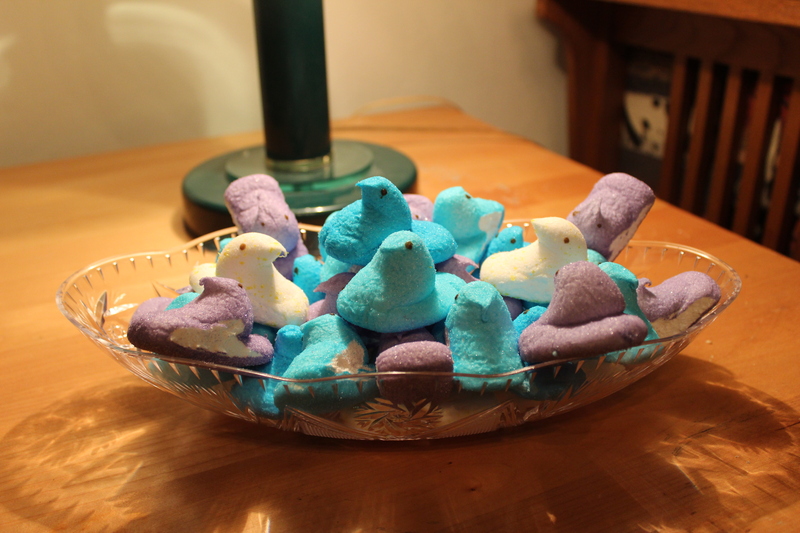 what many scientist find quite remarkable about this fascinating creature is that, unlike other similar species, the wild peep has the inexplicable ability to coexist with Peeps of another color or flavor, so to speak. as you can clearly see in figure 1.1 the king Peep is expressing its dominance through its’ display of nobility which can be seen by the slight crooked angle at which it positions it’s head, and the perfect round shape to its eyes that seem to gaze off to oblivion. In fig. 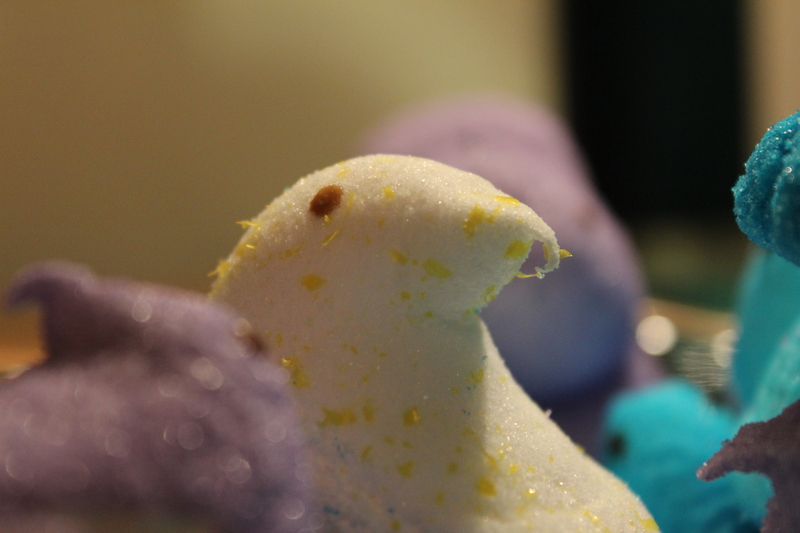 1.2 one can observe the Peep in its natural grazing formation where one can see the clear separation of Peep based on familial ranking and social standing. The elder Peeps stand guard, protecting their young from the inevitable fate that lies ahead of these poor innocent creatures. Many have speculated as to why the Peeps still fight for their way of life, when the “Humans” will not rest until the wild peeps way of life is destroyed, but that is a question that will likely be left unanswered for many more years to come. May their fluffy sugar coated lord show mercy on their souls. The Great Boat Adventure; A Thrilling Conclusion. And so it came to happen that the great day of hot dogs “rolled” around and still permission had not been granted to allow for the existence of a boat. On the eve of Hot Dog Day weekend the great conclusion to our great tale came to be, but before that, I present to you the briefest (non incriminating) summary of The Great Boat Adventure that money can buy. It came to happen that there was a boat. The bout was rigged out with equipment for steering and braking. The boat was taken to a safety test. Testing staff (who were unprofessional and unhelpful) fail said boat without proper inspection or chance to run said prescribed safety “Challenge”. Boat team argued about occurrence at safety test. Now that we are caught up on the details up to our last conversation (so to speak), I present to you, THE GREAT BOAT CONCLUSION and debriefing. After sending an email to the Dean of Engineering the Great Boat Team ventured off to have a conversation with the faculty advisor of the Pine Hill Derby. At this meeting the Faculty member (whose name is being left out as to avoid any further complications) behaved extremely unprofessional, leaving the Boat Team feeling a bit off put about the entire situation. During this conversation however, the boat team requested that they be able to display their creation safely in a secure and agreed upon location during the event, and were told that the faculty member would need to get back to them on that matter. After several days without hearing from this faculty member a selection of Boat Team Members approached the faculty member to ask if a decision had been made. The faculty member responded that the boat could not be displayed because if a student where to see it they would immediately ride it down the hill, injuring (Or killing) everyone! Two days after their last conversation with the Faculty Member one of the Boat Team Members stepped outside to take a call and like in every sitcom ever made, he saw the boat drive by on the back of a flatbed tow truck. It is the consensus of the first ever Alfred University Boat Team that the events that ensued where unavoidable and that the University had confiscated their boat in order to “reverse engineer it” as to be able to mass produce boats with the ability to be driven on land and in see. As a final note for the record, because throughout the appeal process The Boat Team was never given the opportunity to face their accuser and explain their intentions, I present to you, The loyal reader, The intentions of THE GREAT BOAT ADVENTURE! First and foremost it is our intention to have fun while remaining safe and enhancing our learning experience. We intended to create a project that remain wholly within the boundaries set forth by the assignment, while exposing possible places where corrections may need to be made in order to keep others safe in the future. We intended to safely assemble our vehicle in a way that it could be carefully operated without the risk of injury to ourselves or others. we intended to drive our boat down pine hill only with the blessing of Alfred University Staff and Administration and at a speed so slow that a tortoise could beat us down. And we intended to create a project, that through it sheer absurdity, could bring a smile to the face of anyone that encountered it. Man at boneyard who sold us parts for our boat, many many times. Tractor Supply Co. who supplied us with steel. The Fab Shop (an art thing) that allowed us to use their eqipment when the STEP Lab (an engineering thing) would not. Tinkertown Hardware that sold us cables to actuate our breaks. To all those discouraged by their universities stealing their boats, I offer to you this advice. Boat are cheap, get another, do it again, they have got to give up some day. 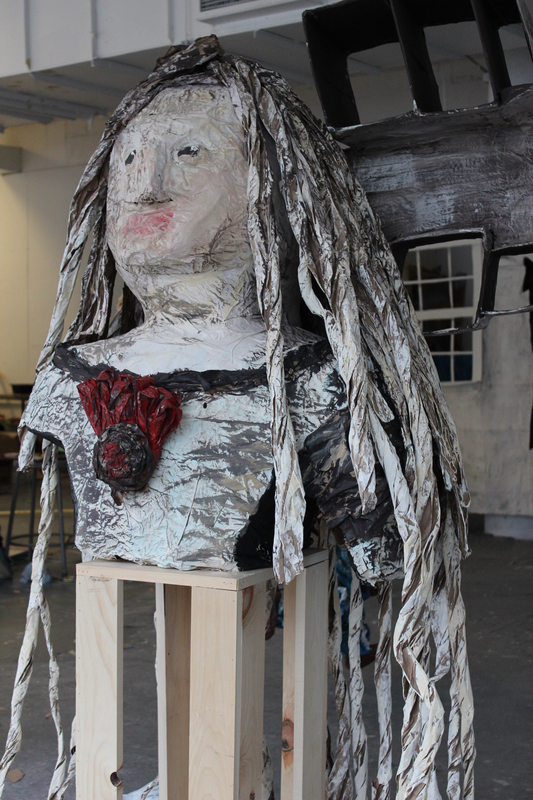 For the MakeLab section of foundations we where each instructed to recreate a painting in the form of a sculpture. 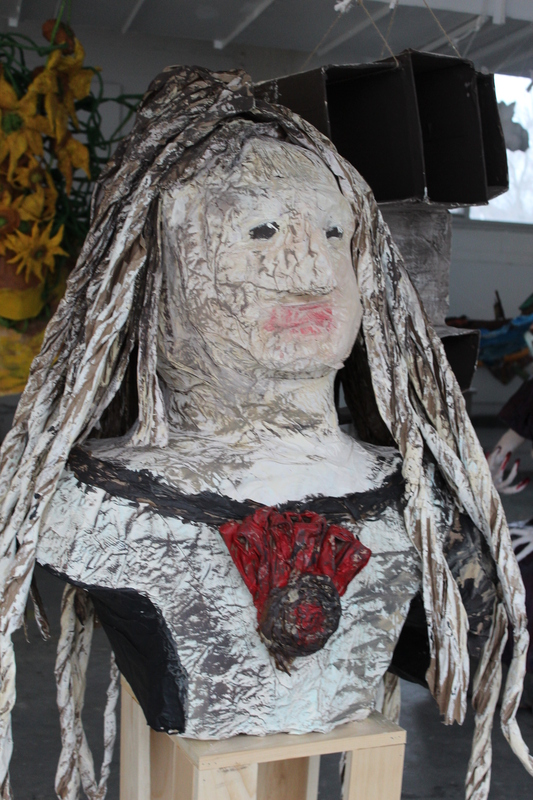 My sculpture was based on Las Meninas by Diego Velazquez. Many havent asked things like; “What are you doing with that boat?”, and “Whats all this about a boat?”, and “Dont you have anything better to do than blabber about a freeeking boat?” Well for none of you curious little jidder bugs out there, I present to you, The Story of the GREAT BOAT DISAPOINTMENT! The story began long ago when the tale of a project where you are required to stupidely assemble a vehicle and hurle it down a hill, a very scary hill. After little though a member of out cozy little group recomended useing a bout and adding wheels. Meaning a rowboat, we interpreted it to mean a 16 ft motorboat with a 115HP motor on it. after much procrastination and alot of planning we settled on a design whose complexity and enginuity is beyond any pesons ability to explain. After a long Week of hard work we pulled it off, a fully drivable boat that could turn stop. Testing day came, and after a few finishing touches she was ready tor her mayden voyage. So it happened that we, The Alfred university boat team, A subcidiary of Acquisition Incorporated, dragged our bout up the the testing facility to comence scientific examiniation of our briliant design. Upon our arival it turned out that the tesing would take place on a hill ending in a small clif, and that all of the distances for the agility testing had been severely reduced. At first sight the student judges decided that although the boat did not tecnically break any of the stated rules and regulations, they fely it was “Not safe” and that “If you think otherwise you need to be… (He got cut off at this point by someone else, but was preforming the steryotypical crazy hand gesture)”. At that point, disapointed, we turned away and left. Since earlier today when the testing occured I have had time to think about what has happened today and have come to several conclusions. First, that although Alfred’s Enginering program designed this project to presumabely inspire young minds to think outside the box and take a leap of faith and create something briliant that can change the way people thing in the future. We also learned that allowing students to write and enfore the rulles of a project that envolves an extended amount of work, effort, and expense is likely an idea that can only end in disaster. As you may be able to image we are a bit upset about this disision to “No Boat” and plan on fighting this ruthles decision at all costs. The Great Boat Adventure: The Movie. Long overdue, I present to you, The Great Boat Adventure: The Movie. Don’t get me wrong, this aint no song, but for an evening flick is should do. Watch if you’d care, this is hardly a dare. This could be fun, I’m glad it is done, and I honestly think it is quite fair!